The beauty of conversion rate optimization for your store is that it can multiply your success without you having to spend more time and money on traffic acquisition. The formula is quite simple: same traffic + higher conversion rate = more revenue. 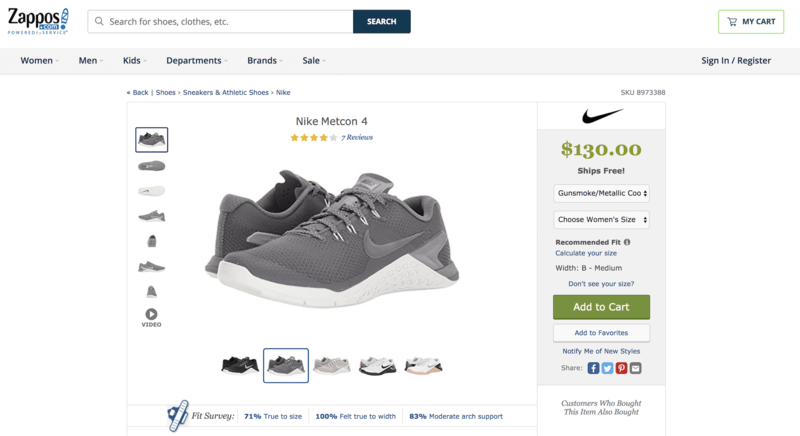 If you fall into the typical eCommerce conversion rate, it means there’s a lot of room to convert some of the 98% visitors that don’t end up buying. And while there are many strategies you might try out, I’m diving deep into three that are proven to work. If someone that’s never heard of you landed on your store’s website, would they have a clue what you’re about? Would they be able to spend only three seconds or less to determine they’re in the right place? And since conversions are made of an activity that involves making them part from their money… Would they trust you with their credit card information? If your answer was negative to either of these questions, it’s time to revisit the look and feel of your website. But the thing is that no matter how well you optimize hyper-specific parts of your store, you can’t afford to not optimize your homepage and other non-product pages for your audience. You can easily find out which specific pages your visitors first see when they find you. 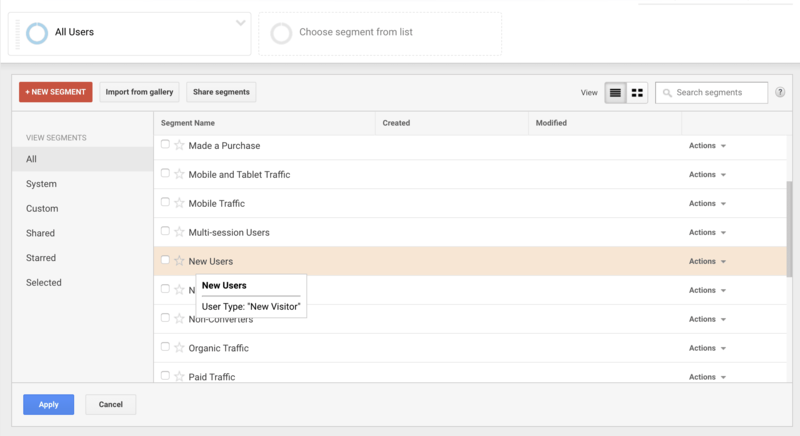 In your Google Analytics, click the Behavior section; then, select Landing pages. 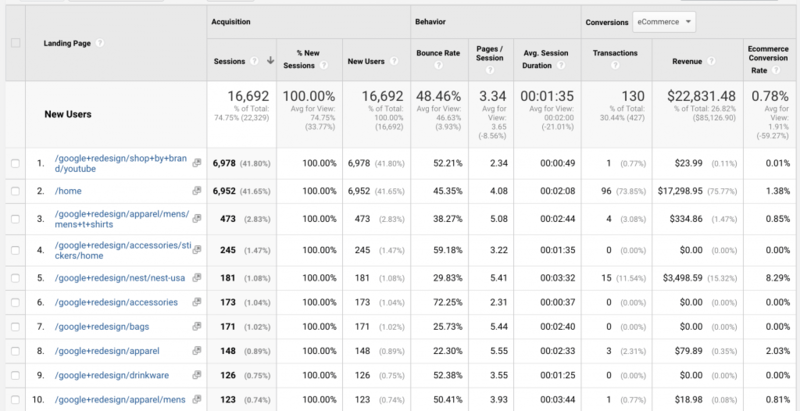 By default, you’ll see the pages your visitors first land on sorted by the number of sessions. You’ll also see information like average bounce rate and session duration. And if you have eCommerce conversions enabled, you’ll also see transactions, revenue, and conversion rate for each of these landing pages. As you can see, visitors start their sessions in this store on the homepage more than anywhere else; it also seems to contribute to the majority of revenue. 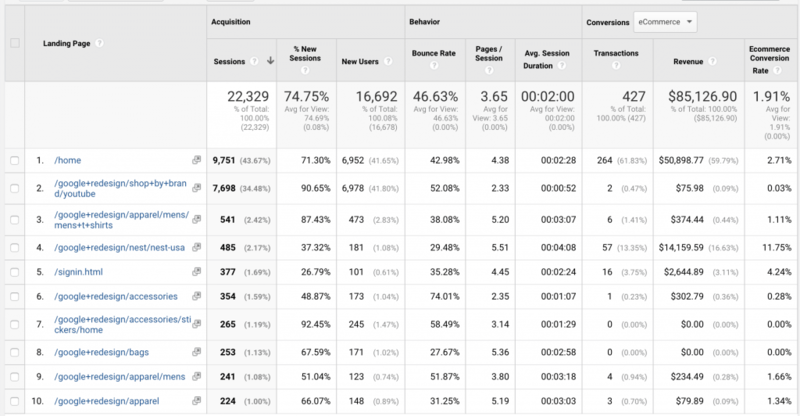 Furthermore, since we are talking about first impressions, you can get even more advanced and look at this same report, but segmented by new users. If you look closely, you’ll see that the homepage and a product category page bring in about the same amount of traffic. However, the product category page as a landing page brought in $24 of revenue, while the sessions starting with the homepage brought in over $17,000 (!). This homepage must be doing something right. 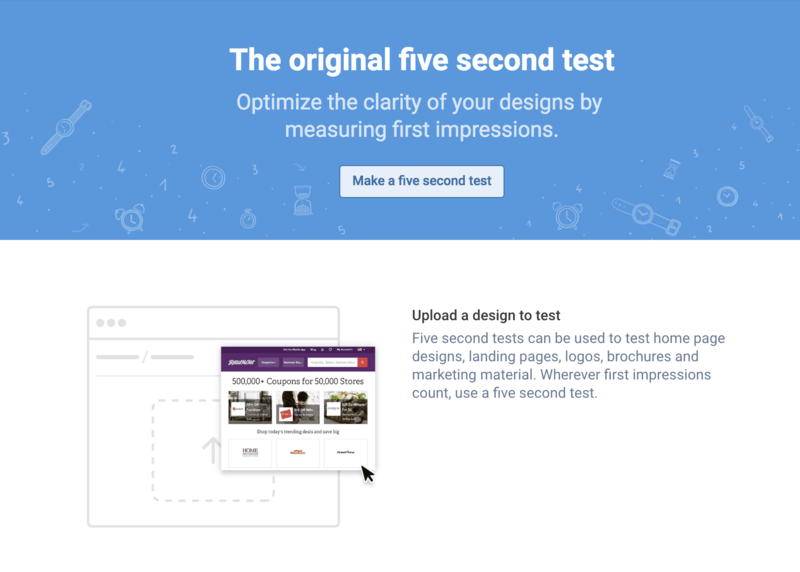 Once you have your insights as to which pages are what your new users first see—and how this contributes to your conversion rate and revenue—you can do the earlier mentioned five-second test. What do they think the store sells? Who do they think these products are for? Does it look legitimate and trustworthy? Was there anything that didn’t look like it belongs there? This might seem like a lot to ask about a five-second period, but you’ll find that this is what makes up that first impression. Another way you can do this is by using a service like UsabilityHub, where you can upload designs and ask questions using a five second test or even go deeper by testing the navigation, task completion, and more. 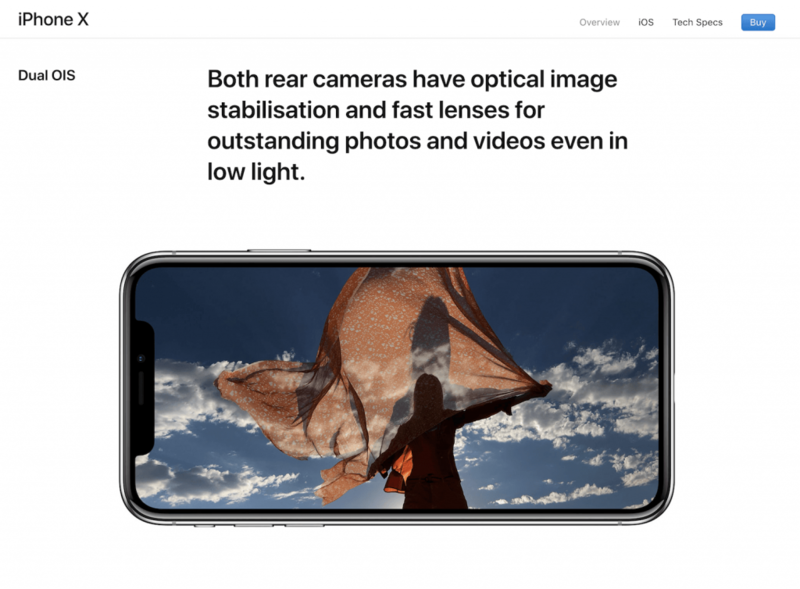 Once you get these insights, you can create an action list of adjustments to your copy, design, or images that will improve the experience for a new visitor. Calls-to-action (CTAs) have become quite famous in the eCommerce world as something that can make or break your conversions. And as a general idea, that’s very true: the more successful your cue to get your visitors to buy, the better your conversion rate. But that’s not the only purpose CTAs serve. If your visitor just found out about you, there’s a chance she wants to get more familiar with you before she spends any money. And if she buys from you frequently, she might want to tell her friends about you. Hence not every CTA is about the sale. These are parts of the buying journey your visitors will go through. 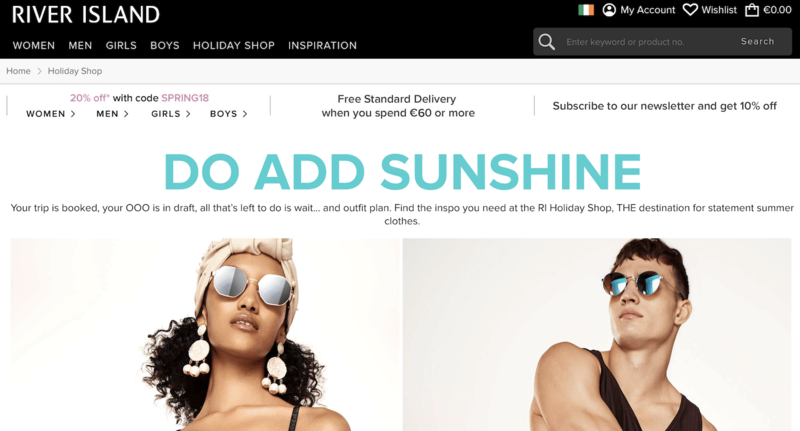 That doesn’t exclude the chance that they’ll buy something 25 seconds after landing on your product page, but it’s your job to guide them through to the next logical step rather than just focusing on the sale. Let’s look at the key situations you’ll want to optimize your CTAs for. Social media discovery. Many of your visitors will find you through social media. You want to make sure your profile descriptions direct them to an online property you own, like your store or your email list. Equally so, to amplify the social reach of users who already are on your website or your list, make sure you make it obvious where you hang out on social media so they can follow you there. Email subscription. Another key CTA is the one that gets your website visitor on your email list. Here’s the important part: give them a compelling reason to do so. No one wants more irrelevant emails cluttering their inbox. Offer users exclusive weekly promotions, a discount, or something else they can’t resist—and make it clear with your CTA. Add to cart + Checkout. These are the two most important buttons on your product pages. While there might be other clickable options, like Save to wishlist, sizing guide, or reviews, these two buttons have to stand out at every step of the purchasing process. Executed well, these CTAs are what will help you bring your conversion rate up. So what is it that you need to keep in mind when creating (or improving) them? Color that stands out. One of the easiest ways to make your CTA button fail is to blend it in with the rest of the page. Its color and design should make it naturally stand out and make it obvious as the next logical step. No one wants to spend a minute looking for it; clicking the X in the corner is way easier than that. Always visible. This is key for your product pages and other landing pages as they are the ones that are most prominently geared towards a single action. If you want me to do something, show me how. For example, if your page is two scrolls long (or more), it’s a good idea to have the CTA button multiple times on that page. Clear and obvious wording. It’s easy to get into the trap of trying to be witty and say something like ‘Become a Cinderella now’ on the product page of a ball gown dress. That leaves too much room for individual (mis)interpretation. However, you can definitely use focused wording to make the call to action even more appealing and direct, for example ‘Get the discount’ instead of the simple ‘Sign up’. Getting sales from abandoned carts seem like a reasonable thing to aim for. Someone visits your store, fills their cart with products, which obviously means they wanted to buy them, and then left. You somehow make them come back—like by emailing them—and cash in on their purchase. Makes sense, right? It’s not that easy. Here’s an example. The other day, I was shopping for a birthday present for a friend. She’s located across the continent from me—over 2,000 kilometres away. I wanted to surprise her with a little something since she’s so far away, and in these situations, online shopping is my trusty partner. I found something that was perfect. It was around $20. Even though I was just taking a quick break from work when doing this, I was ready to order it there and then as it seemed easy enough for me to do so. I’ve added the product to the cart and went straight to the checkout page. And there, the total was $60. Now, I don’t mind spending $60 on my friend. But I’d rather spend that money on the actual products she’ll receive instead of $40 on shipping. Also, there was no warning of this whatsoever, and the moment I saw the total for the order, I left and never went back. Let me tell you this: the only way an abandoned cart email would have made me complete that purchase was if it offered me a $40 discount. Both you and I know the odds for that aren’t too high. 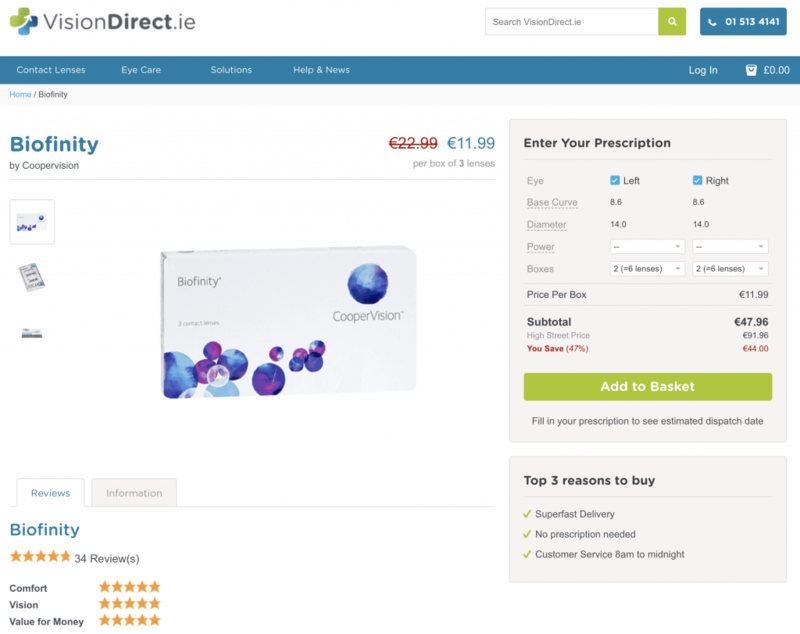 So how does a successful cart abandonment campaign work? There is a single answer, but it comes in two parts. First, even if this retailer wanted to send me an abandoned cart email, they would only be able to do so because I was logged into my account. If I wasn’t, they’d have had zero chance of getting me to enter it because I was way too annoyed at that point. …or, you know, practical reasons like browsing a shopping site while on a train and then reaching your stop. For all you know, they’ll continue their browsing once they’re on their desktop, hours later… On someone else’s shop. Whatever the reason is for the cart abandonment, it means you can’t simply hope that the visitor will get to the point of creating an account or logging into one for you to collect their email address. You must do it proactively. 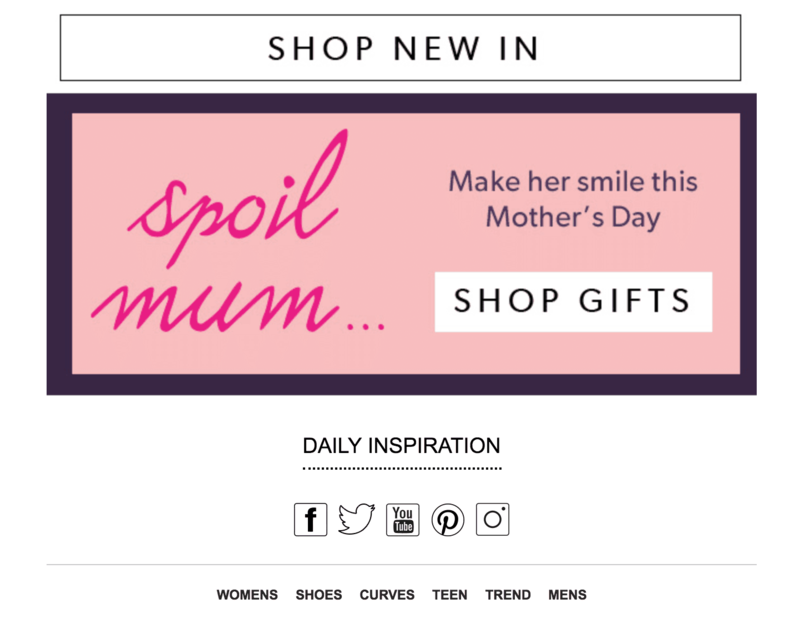 Enter the solution: using email capturing popups at the time of highest purchase intent. More precisely—right when your visitor adds the product to their cart. I’m only so confident about this solution because here at Recart, we’ve tested it and managed to capture email addresses of 62% cart abandoners. Let’s do a bit of math. Let’s say that of all the weekly visitors to your online store, 1,000 of them add products to their shopping cart. Based on the average cart abandonment rate, about 770 of them abandon it. Sounds like a pretty good chance to us. The best part? You can get started and see the results on your store right away, for free. 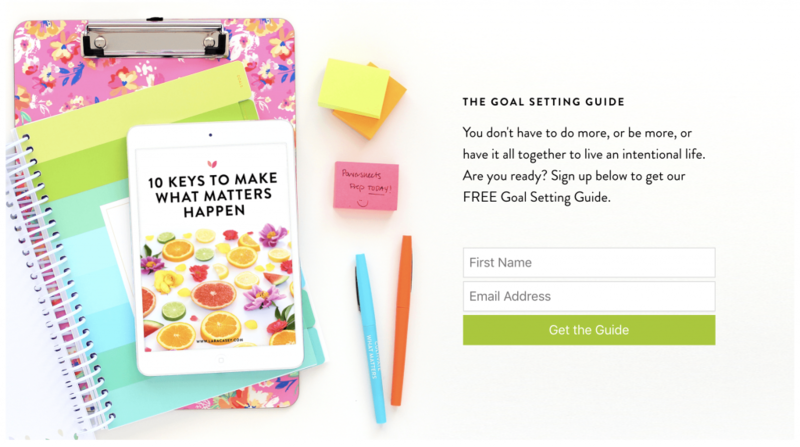 Finally, for any of this to work, you’ll want to make sure you only do small, incremental changes and test them out to see their impact on your conversion rates. If you change too many things at once, you might see a lot of improvement—or none at all—and you won’t know what to attribute it to or the true impact of any of your actions. Once you find what works, do more of it. Did I leave anything out when it comes to improving site-wide conversion rate of your online store? I’d love to hear from you. Marijana Kay is a freelance writer and content strategist working with SaaS and marketing brands on their content marketing strategy. She creates long-form, actionable content that grows her clients’ visibility, authority, and revenue. Connect with her on Twitter or through her website.